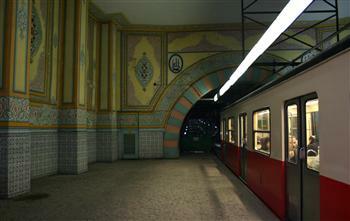 Tünel, a short underground railway line in Istanbul, Turkey, has been rated “as one of the strangest transport alternatives in the world,” according to an article published by bizjournals.com on March 10. 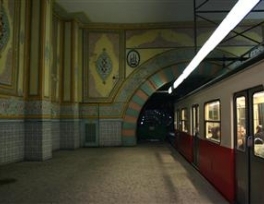 Inaugurated on Jan. 17, 1875, Tünel, as the second-oldest subterranean urban rail line in the world, was designed as “a kind of elevator ascending and descending” on a steep hill descending to the Golden Horn shores from Beyoğlu and Taksim. Originally, one of its wooden cars, powered by steam engines, was used to transport goods, animals and even horse-drawn carriages. Other “weird” transport alternatives on the list included Vietnam’s iconic tricycle taxi, the Canal Taxi in Bangkok, “the chicken bus” in Central America, “the camel bus” in Cuba, the Maglev train in Shanghai, the Chiva express in Eduardo, the Hovercraft in the U.K., the Ice Angel in the U.S. and traditional carts fitted with modern engines in Cambodia.